The tea that we know and enjoy today is produced from the leaves of the an evergreen bush called Camellia sinensis. The leaves are steeped in boiling water. Depending on the kind of tea sometimes sweeteners or milk is added as well. As I researched the history of tea, I came across this 5-minute thorough history from Ted Ed and it made me happy. Hope you enjoy it too! Moral of the story: China is the original home of tea, though it has been ingrained in myriad cultures and has become an industry in counties all over the world. The fact that it's the second most imbibed beverage after water IS AMAZING! So what kind of teas are there? 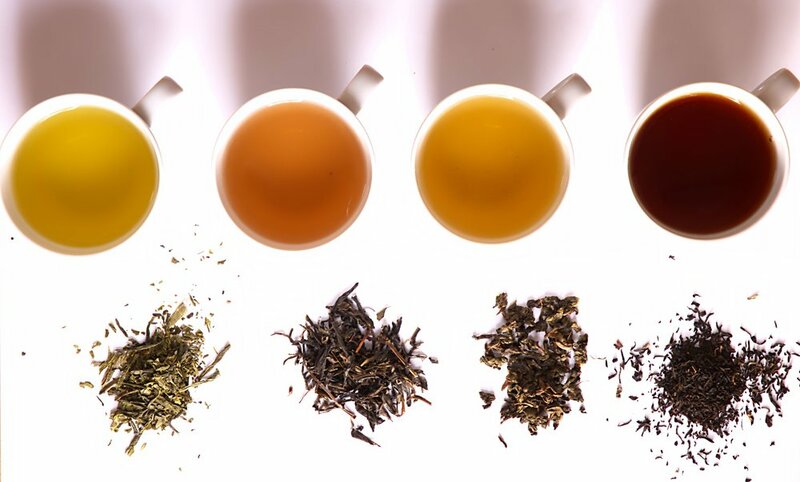 There are five primary types of tea: black, oolong, green, white and pu-ehr. All are the same tea leaf, oxidized and/or fermented to various degrees to pull out different flavors. If your kids are old enough to have a spot of tea, go for it! Make a date out of it. If it's in the morning, enjoy shortbread cookies or biscotti with breakfast. If the afternoon, try some tea sandwiches (here are 50 options!). If in the evening, enjoy a cup curled up on the couch and chat about your day. COOK AND BAKE WITH TEA! Pick a country around the world and they will most likely have traditions around preparing, serving, and/or enjoying tea (Here's Doris Day singing about it!). One of the most well known is the Japanese Tea Ceremony (which you can learn more about here, then watch the 10-minute ceremony). Older PostPiebald Like a Penguin!